This program does NOT work for Office 2007 .docx files. Repair My Word is simple to use. 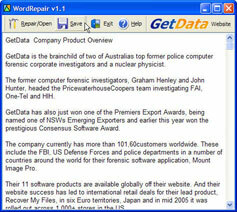 Just open the corrupt Word file, preview the recoverable text in the preview window and save this text to a new error free Word file. 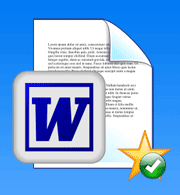 Click the "Download Now" button to download Word Repair.